Helen (Crafton) Harris and Charles Bascom Harris, Sr.
Name: Helen (Crafton) Harris and Charles Bascom Harris, Sr.
(1) Annie Parker 'Parke' Harris (1880-1953) was the oldest child of Helen and Charles Bascom Harris, Sr. Parke attended Scottsville schools and was an accomplished musician, who played the organ for Scottsville Methodist Church services as a young woman. She attended Peabody College (now Vanderbilt) in Nashville, Tennessee, and taught school in Georgia after her graduation. 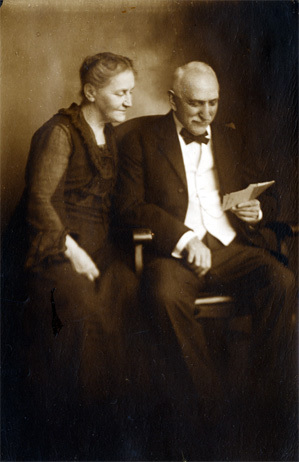 Parke returned to Scottsville to teach school and later married William Day Smith on June 3, 1910. William was principal of Scottsville High School for thirty years, and under his leadership, Scottsville became the first Virginia high school accredited by the University of Virginia and the State Department of Education. Parke and William lived on Valley Street in the house that is now Thacker Brothers Funeral Home. They were the parents of two children: Frances Crafton and Charles William Smith. (2) Charles Bascom Harris, Jr. (1883-1959) was the proprietor of C.B. Harris and Co., a Scottsville business on Main Street that sold men's clothing. Charles got his start in the mercantile business by clerking in his father's store, Harris Merchandise. He loved baseball and music, playing several brass instruments in the Scottsville marching band. Charles married Alexina Lee Harrison on October 2, 1912, at St. Johns Episcopal Church in Scottsville. Alexina was the daughter of Casseus and Betty Harrison, formerly of Gordonsville, Virginia. Alexina and Charles were the parents of five children: Richard Wheat (1913-1990), Elizabeth Goddin, Margaret Lee (1920-1981), Katherine Crafton, and Barbara May Harris (1926-1991). (3) Francis Waller Harris (1886-1959) is shown in his Virginia Polytechnic Institute uniform circa 1906; he graduated from VPI with an engineering degree. Born in Scottsville on October 22, 1886, Francis' boyhood ambition was to become a businessman, and his first job was working in Harris Merchandise. After graduating from VPI, Francis became a successful business and civic figure in Coatsville, Pennsylvania. Among his many successful business enterprises, he served as vice president, general manager, and director of Republic Service Corporation and director of 16 subsidiary companies. Francis married Sallie E. Fulton of Grottoes, Virginia, and they raised two daughters in Pennsylvania: Sarah Frances and Marjorie Gertrude Harris. 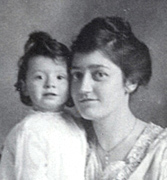 (4) Marjorie Harris (1889-1983) holds her daughter, Marjorie Helen Fry, in this circa 1914 photo. Marjorie Harris was born July 19, 1889, in Scottsville and attended Scottsville schools. She was very musical and at age 13, Marjorie was drafted by Henry Hartwell Gary Harris, her uncle and the choir master, to serve as organist for the Scottsville Methodist Church. On October 4, 1912, Marjorie married George Washington Fry at the Scottsville Methodist Church. George graduated from Lawrence College in Appleton, Wisconsin, with an engineering degree in 1905. After spending several years surveying for western railroads, he attended the University of Virginia's law school and was awarded a law degree in 1910. 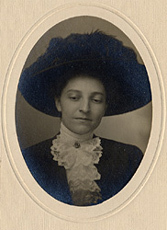 Marjorie and George Fry moved to Oklahoma and became the parents of two daughters: Mary Stelle Fry (1917-1946) and Marjorie Helen Fry (1913-1991, shown in this photo). (5) Helen Harris (1892-1983) was born January 21, 1892, in Scottsville and attended local schools. She graduated from Harrisonburg State Teachers College and taught at a college in Tennessee for several years. Helen came back to Scottsville to be with her parents, who were then alone. She spent much of her time driving her father around the countryside as he dealt in real estate and had never learned to drive a car. Helen became engaged to Richard Wheat Harrison, the night telegrapher at Scottsville's train station who was shot to death by an unknown gunman on August 24, 1913. Later Helen married James Emmons McFarland, a Scottsville pharmacist, on May 2, 1919. 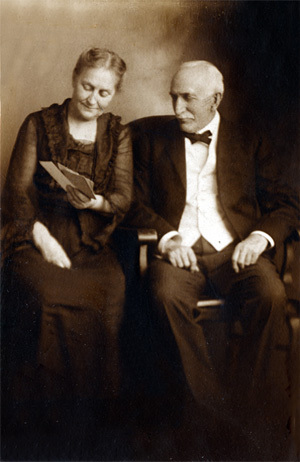 Helen and James McFarland became the parents of two children: James Emmons, Jr., and Katherine Jane McFarland. Helen (Harris) McFarland died at her daughter's home in Lafayette, Louisiana, on January 18, 1983, but was brought back to Charlottesville for burial. (6) Henry Miletus Harris (1896-1984) posed for this photo shortly before he enlisted as a U.S. Marine in World War I. He attended Virginia Polytechnic Institute and the University of Virginia. After the war, Henry worked as an engineer in Bluefield, West Virginia. Henry and his wife, Claudine Page Avent, raised three children: Shirley Page, Donald Avent, and Margaret Louise Harris. Later Henry and Claudine moved to Roanoke, Virginia. These photos are part of the Katherine Ellis collection. Katherine resides in Scottsville and is the granddaughter of Helen Goddin (Crafton) Harris and Charles Bascom Harris, Sr., and the daughter of Helen (Harris) McFarland.